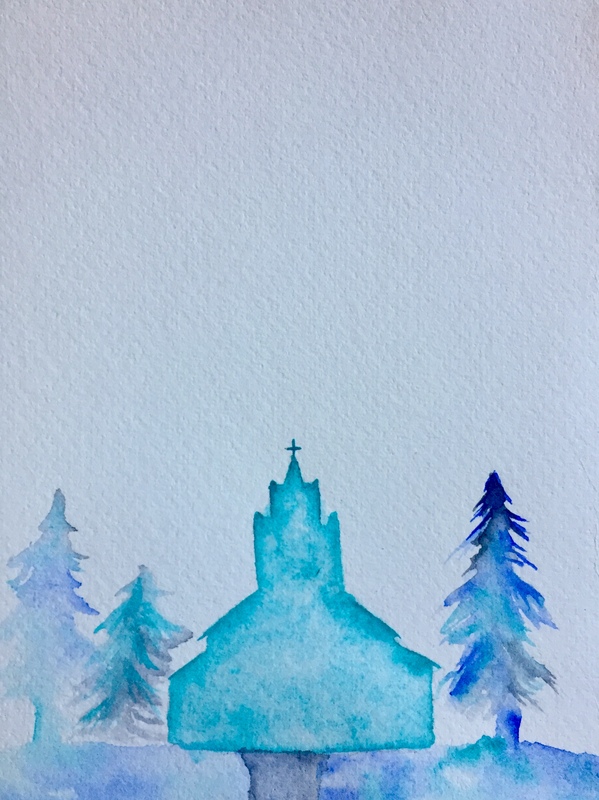 The RSVP for the wedding I've been doing paintings for. I also did a map, but I'm not going to be broadcasting the location online. 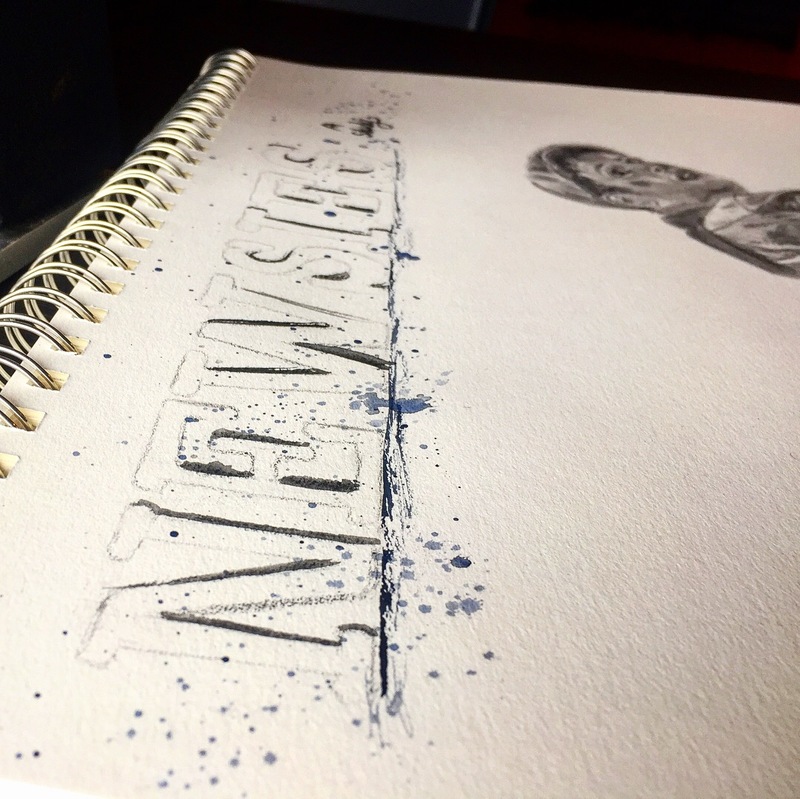 In between the pieces I'm hired to do, I've been putting my Newsies obsession to good use. I decided to do a study of the characters (and thus people) to expand on my portrait work. Jack Kelly in my favorite song, "Santa Fe." 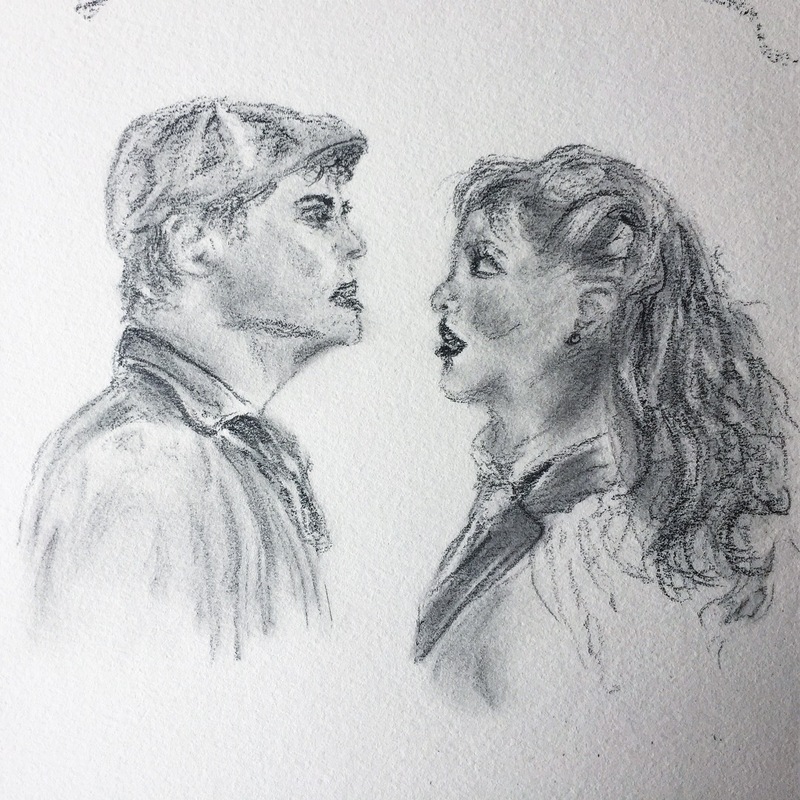 Looks like another really great drawing Katie! It’s fun to see your work from beginning to end . 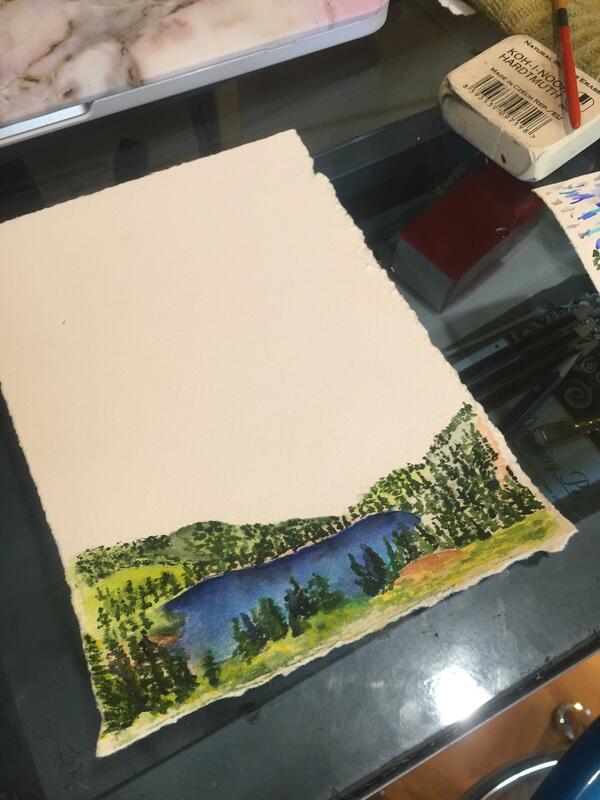 Okay, I'll first post the finished pieces and then follow with the beginnings of new ones. This is now what I call my "Santa Fe" page. I hope this will encourage you all to watch the musical, because it is truly something marvelous You'll understand more if you watch the entire movie (they filmed a live performance) but essentially there's the "Santa Fe Prologue" and then the climax at the end of Act 1 with Jack's "Santa Fe" (right sketch). This is my favorite song of the musical, it's simply too good for words. Anyway the sketch on the left is from the prologue. I call it "Ridin' In Style" taken directly from the lyrics. The context is Crutchy is fantasizing of a future in which he can move independently of his crutch through riding a palomino (yes, specifically a palomino). I went for a rough, minimalistic look for this sketch and purposefully included a left-behind crutch. 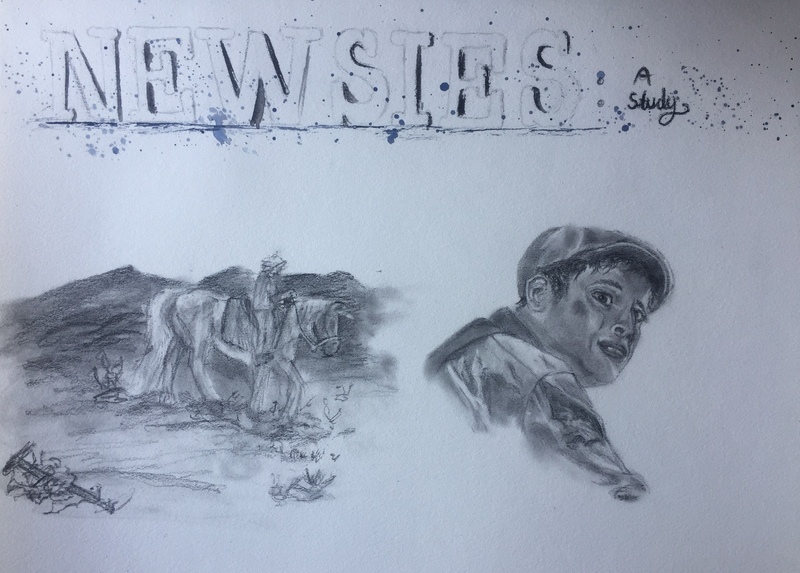 You may have learned more about Newsies than you wished, but I take my duty to educate very seriously Next, I'll take on another realism project with a face. 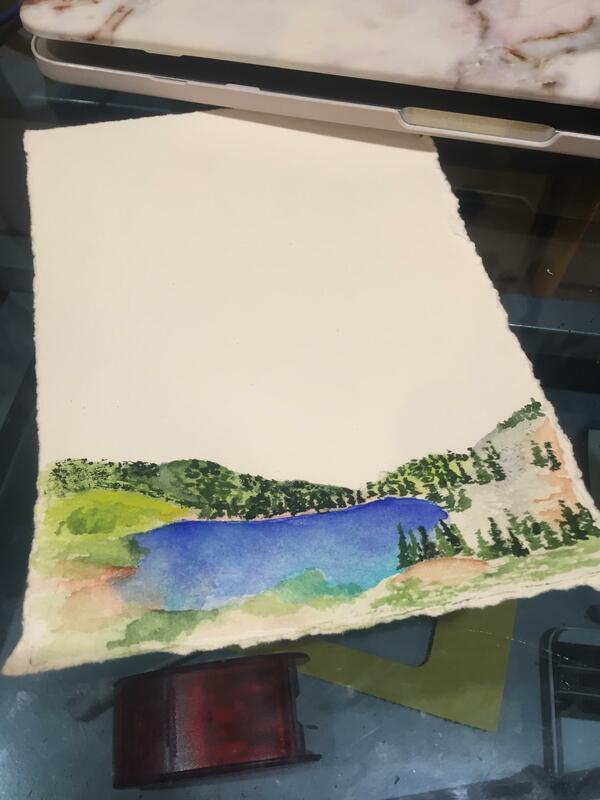 This is the start of some watercolor portrait work. 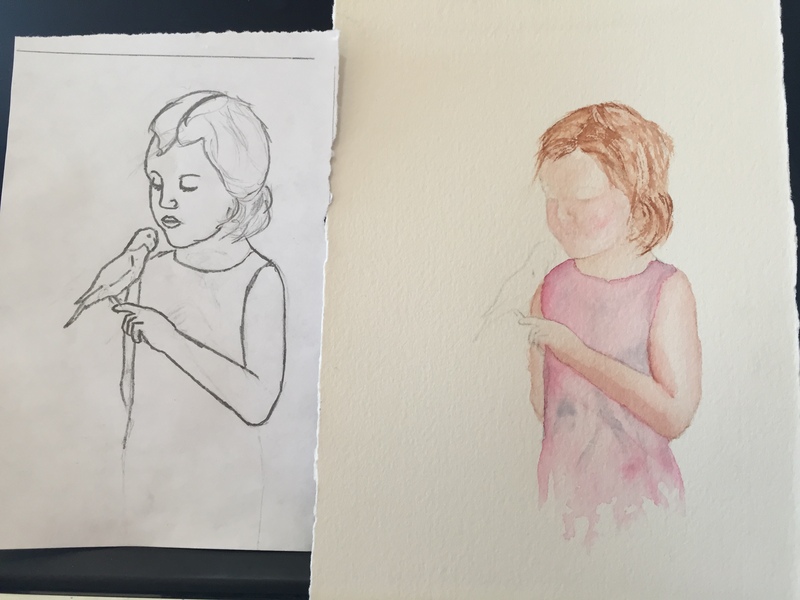 It'll be a little girl with a budgie, portrayed by Echo. 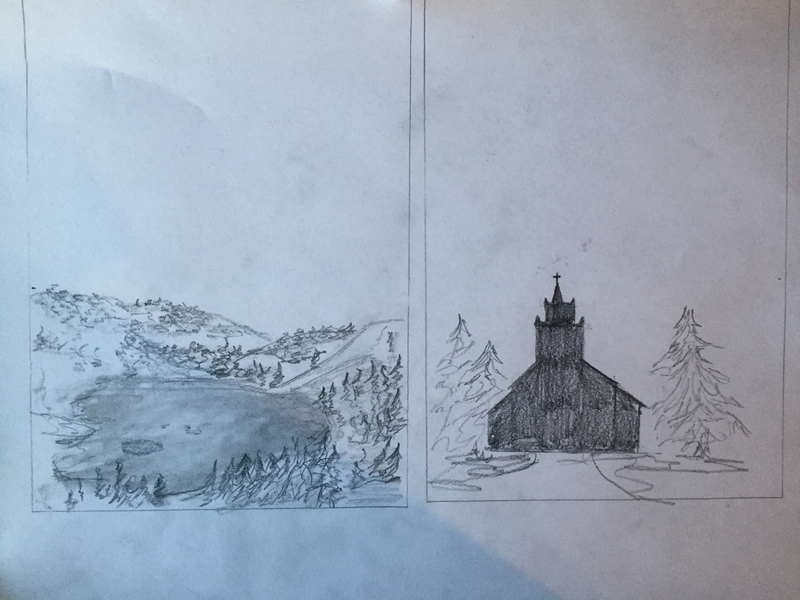 And the final two pieces for the wedding are all sketched out. 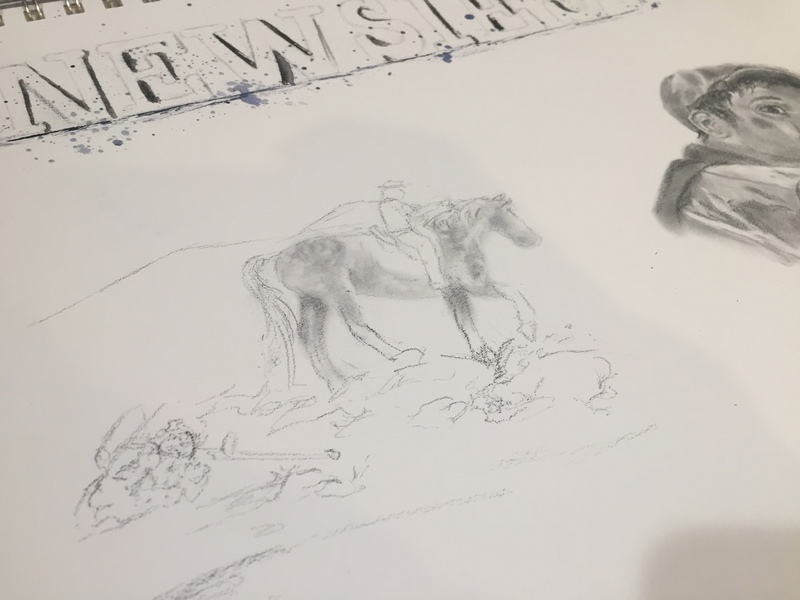 I've made some changes that will be reflected in the painting, but for now, I'm just going to post the rough draft sketches. Alrighty, I have some color to bring into this thread! 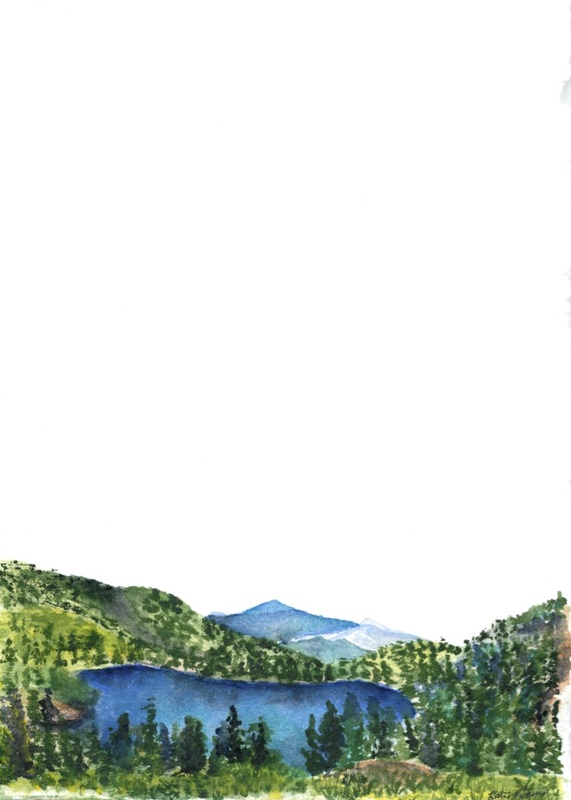 The last two pieces for the wedding are completed (except for all the words, of course...I'll do that digitally). 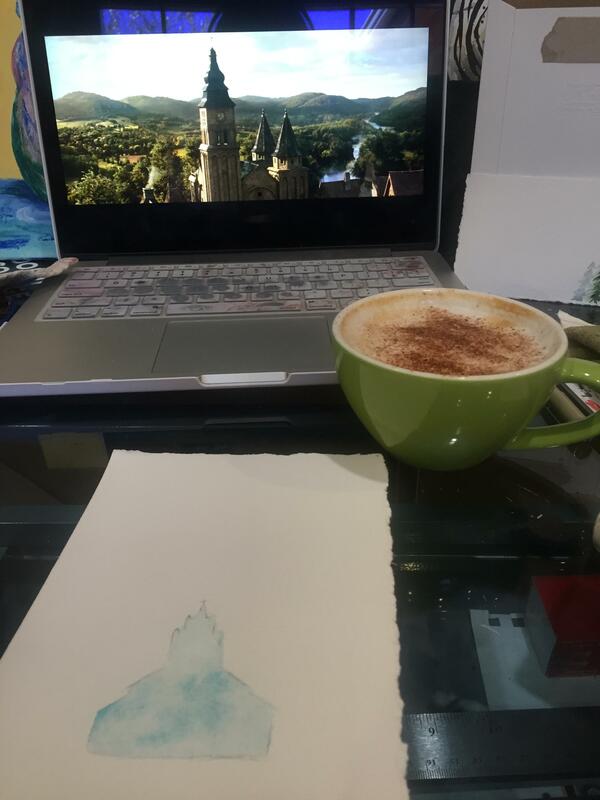 I've been spending so much time at my art desk I've settled into a routine of making a latte and turning on a musical for the full painting experience This was Beauty and the Beast and I love how the fun style of the chapel turned out! This one took forever to complete! I actually got sore muscles from leaning over the painting to get such fine details. 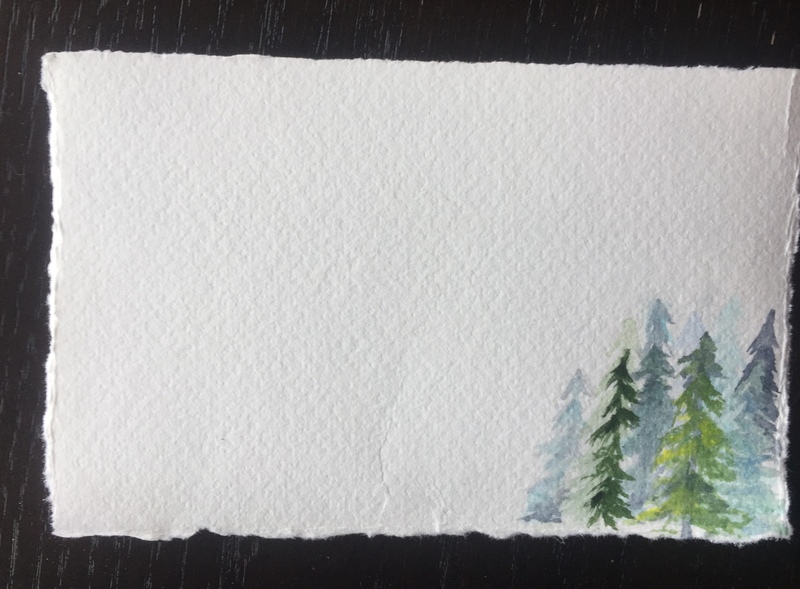 Trees, trees, so many trees! Another beautiful painting . 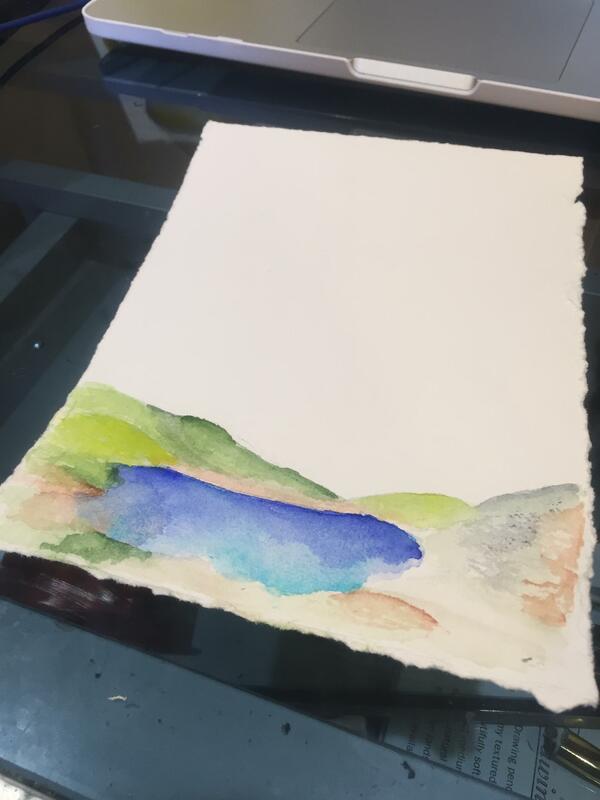 I love the color of the lake. This one is so peaceful to look at. Can’t wait to see it finished! Btw... your signature pic is awesome! Very talented! 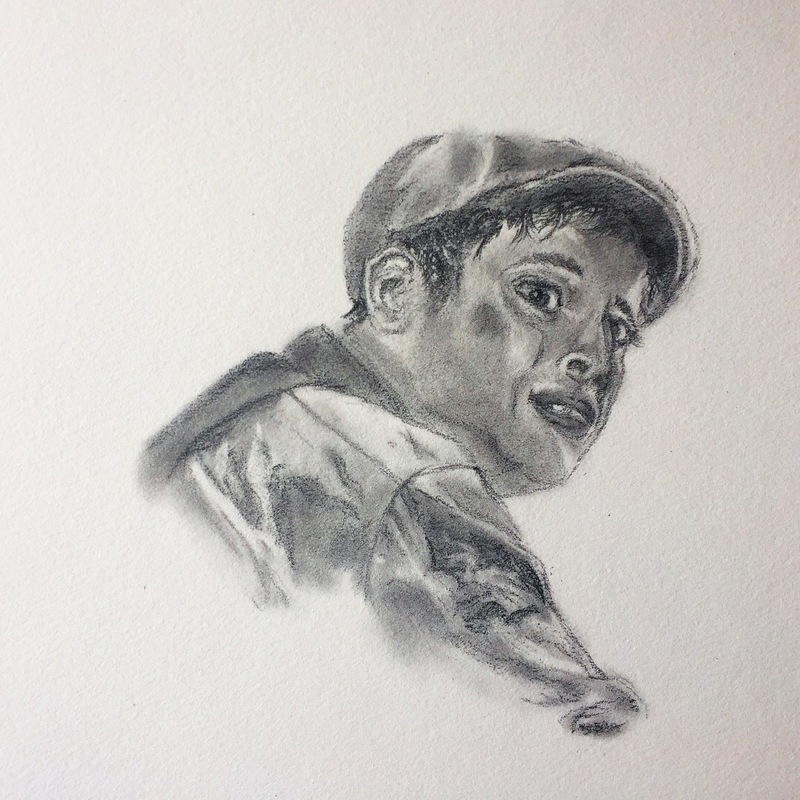 Another little sketch from my Newsies study. 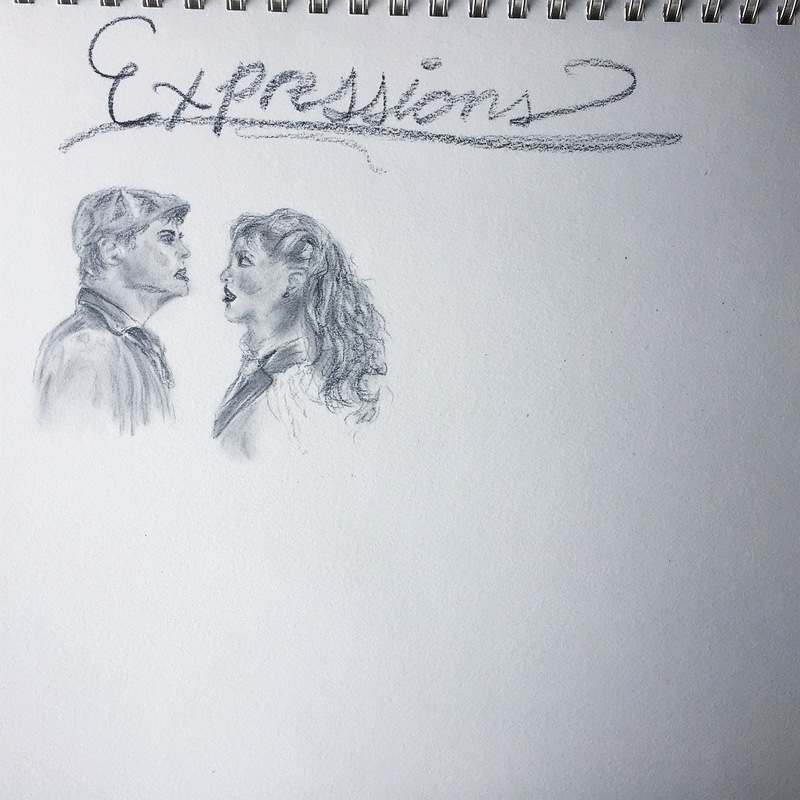 I'm starting an "Expressions" page and the musical definitely features very distinct faces This one was interesting to understand the eyes...Half-lidded versus widened. Since it's only a study I haven't developed all parts of the sketch, just the ones I'm doing the study on. Otherwise, I'd spend way too much time on these quick sketches. 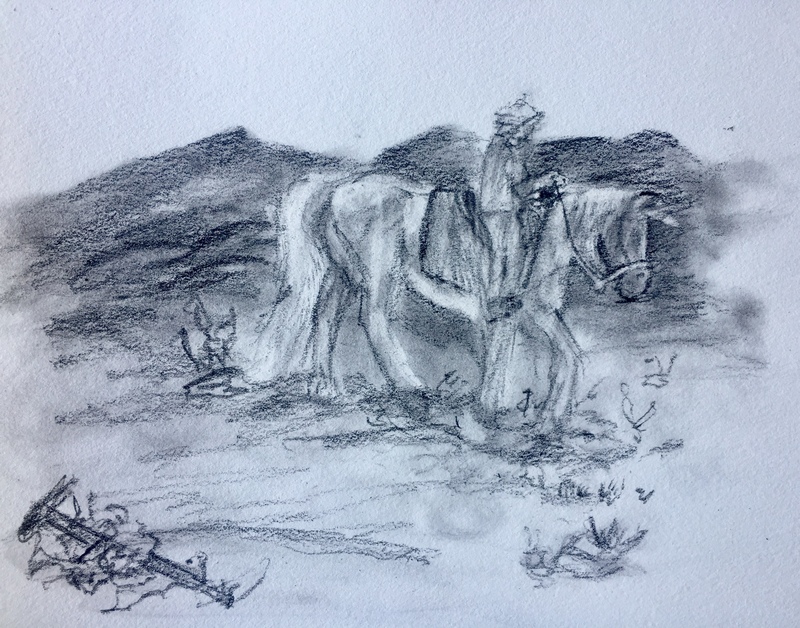 One thing I ran into was the sketch was so small that even my finely sharpened pencil felt too big for getting the little details.